This seminar is for young researchers (Master’s course, Doctoral course, Postdocs), and will be conducted in English. 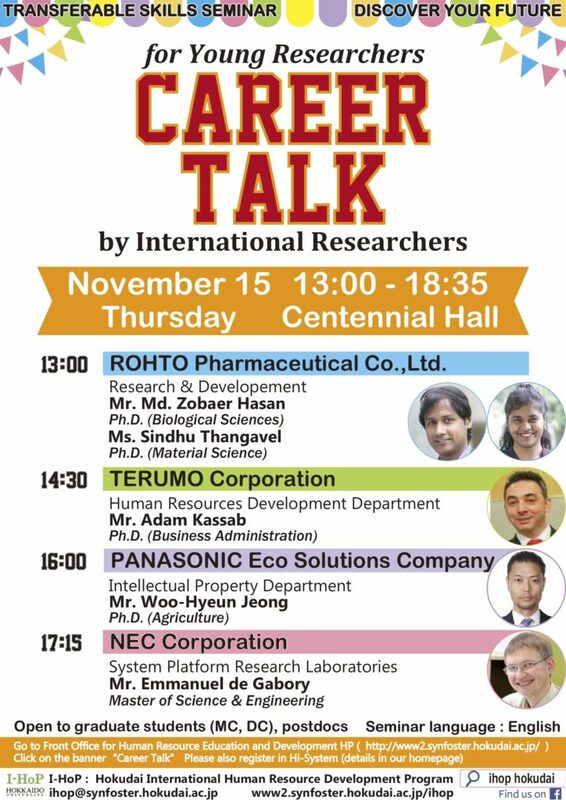 Career Talk gives the audience a chance to listen to the life stories of international business professionals with advanced degrees who are currently working for companies in Japan. They will talk about their career, especially focusing on turning points of their life such as graduation, job hunting, changing jobs or companies, and so on. To cover a wide range of interests from many different academic disciplines, guest speakers are chosen from a variety of backgrounds, such as life science, agriculture, economics and engineering. Each session is followed by a Q&A so you are encouraged to ask questions. For the sake of better understanding of many different vocations, listening to all the speakers is highly recommended. 13:15 Mr. Zobaer Hasan, Ms. Sindhu Thangavel, ROHTO Pharmaceutical Co., Ltd.
Research & Development, ROHTO Pharmaceutical Co.,Ltd. 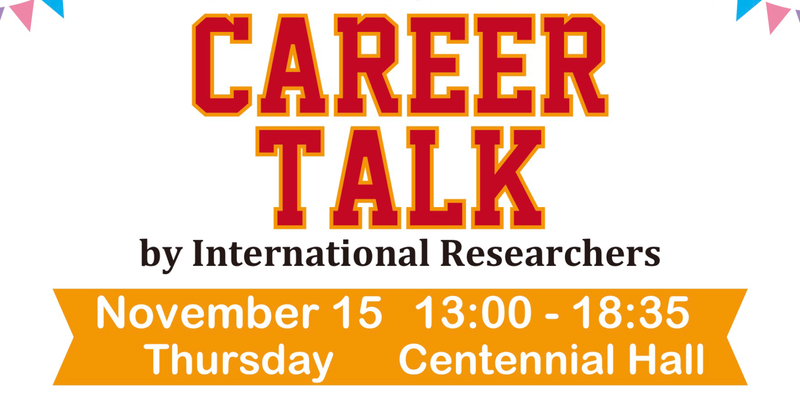 Click here “Career Talk” and scroll to the bottom of the page and click “申し込む/Apply” to register.